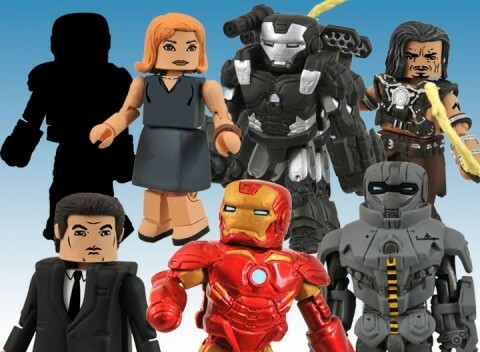 Iron Man 2 Minimates Revealed! 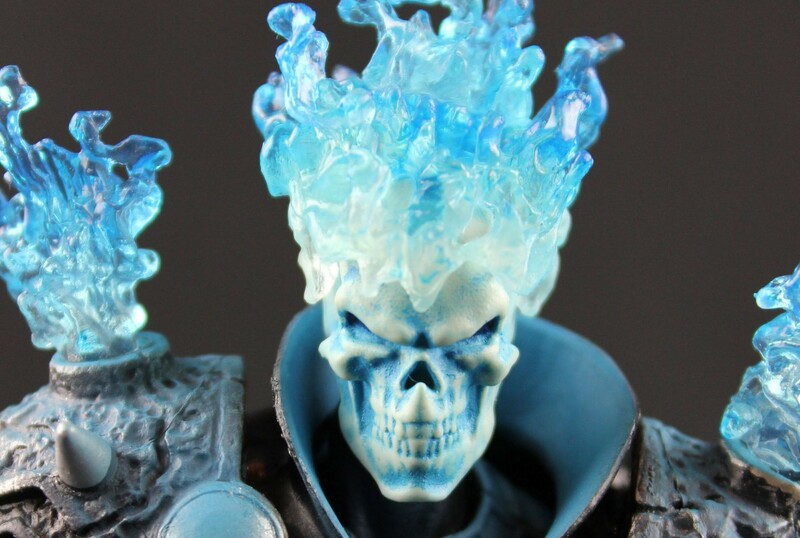 Here is the news from Diamond Select Toys today. 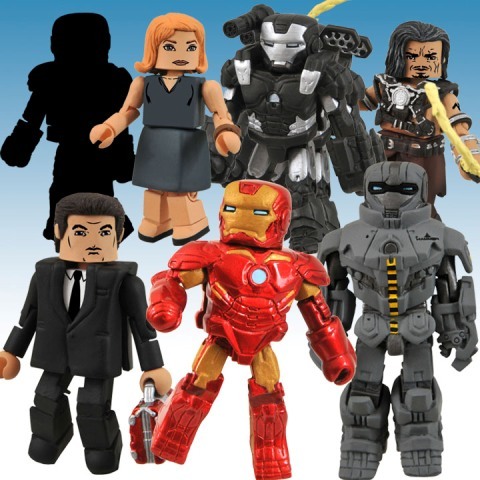 Fans all over the world are gearing up for Marvel Studios’ next sure-fire blockbuster Iron Man 2 and at Diamond Select Toys we are excited to reveal details surrounding our previously Top Secret Iron Man 2 Minimates! Due in stores this March, two new assortments of Minimates are sure to thrill fans of all ages! While one particular high-flying armor-clad character will remain hidden until the March release date, we can now reveal the full contents of our upcoming Marvel Minimates Series 35 Assortment and Iron Man 2 Single Pack Minimates Display. Rounding out the cast of Series 35 is the high-tech army builder paired with Pepper Potts and Happy Hogan – Hammer Industries’ Hammer Drone! Glimpsed only briefly in the Iron Man 2 trailer, not much is known about the Hammer Drones – except that Iron Man and War Machine will apparently square off against an entire squad of them at some point during the film. 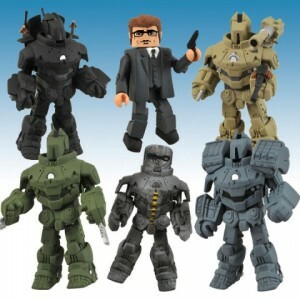 The biggest reveal comes in the form of our Iron Man 2 Single Pack Minimates Display, a special set of individually boxed Iron Man 2 Minimates limited to only 500 cases. This set was under complete lockdown, however now we can reveal the full contents! 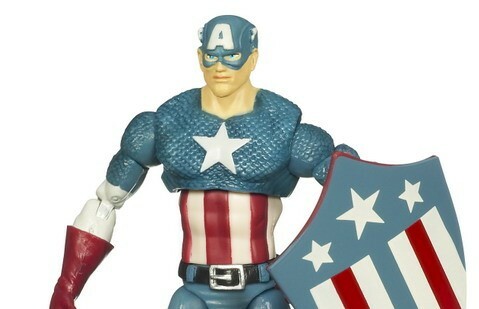 Styled after the four branches of the US Military, exact how these high-powered armors will come to exist and what their creation means for Iron Man remains to be seen – but we can’t wait to find out! Retailers can still order this limited set as part of their January 2010 Previews orders, so if you want these Iron Man 2 exclusives to become a part of your collection make sure you let them know before it’s too late!